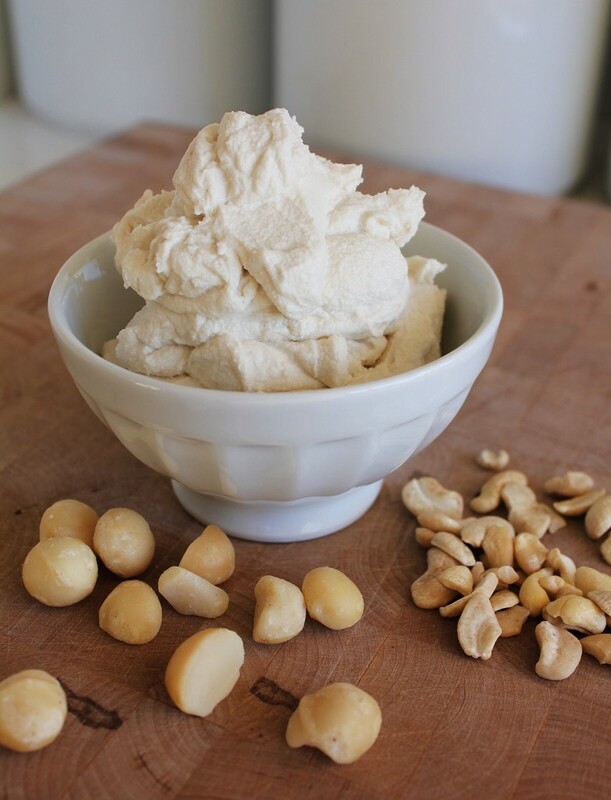 The nuts I have used for this cheese are macadamia nuts and cashews. They blend into smooth, cheese-like creaminess, and are relatively bland and sweet, not unlike real dairy. They are soaked overnight, releasing their enzyme-inhibitors, and blended with lemon juice, raw apple cider vinegar, unpasteurized miso, water and seaweed salt –that’s it. 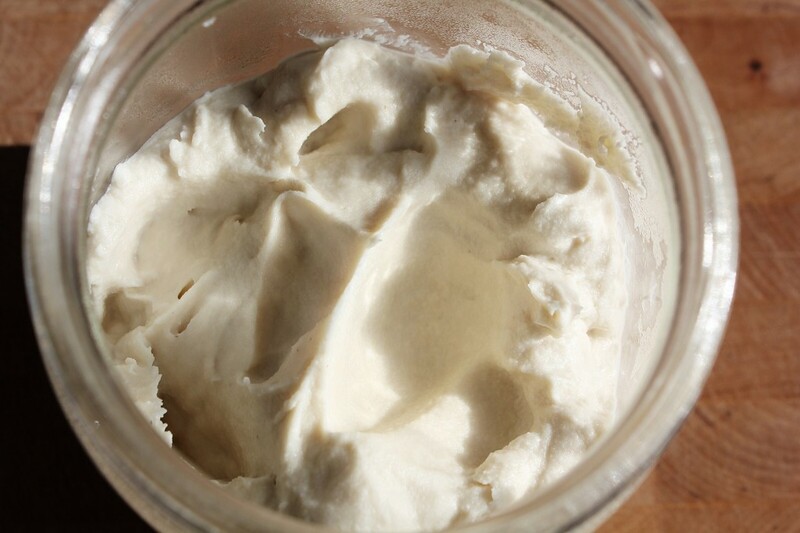 24 hours spent in a jar somewhere warm will add some beneficial bacteria and extra tang, sort of like goat cheese. It’s actually hard not to eat it all, before the fermentation process, it’s that good. And it’s actually good for you, did you notice? If you don’t have a high-powered blender, you may have to add some extra water to keep things blending smoothly. That’s totally fine, just transfer it to a nut milk bag or cheesecloth and hang it (either at room temp during fermentation or in the fridge, post-fermentation) for a day to drain out any extra moisture. This tastes creamy and delicious on its own, but if you think you (or your guests/family) will require further trickery (it is made of nuts after all), add some extra flavours. A little bit of garlic, some fresh herbs, (sulphite-free) sundried tomatoes or fresh truffles (why not?) will mask whatever subtle dairy flavour may or may not have been there to begin with. 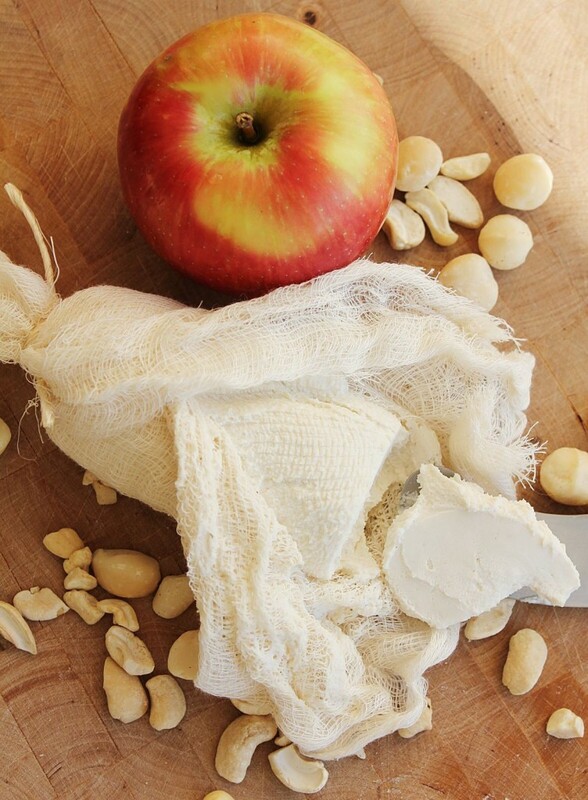 With these added aromas, all you will notice is that you just made your own boursin cheese. Or the expensive goat cheese with the fancy ingredients on the top. 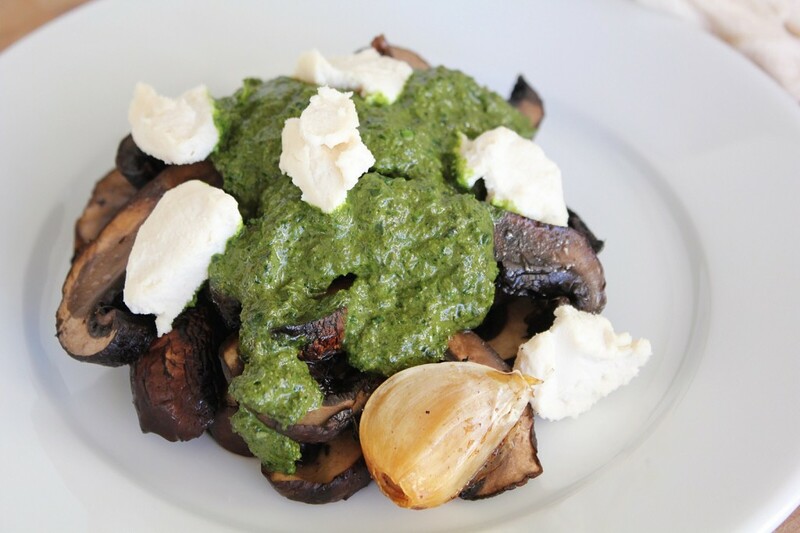 Add to any dish that goat cheese would be welcome in. Roll in fresh basil and serve with warm olives, crumble over freshly roasted butternut squash, top off your rich lentil soup, or just spread it on some seed crackers. Oh, and you will need to sit down to eat this cheese too. In a blender, blend the nuts, lemon juice, raw apple cider vinegar, miso and salt. Add water sparingly, just enough to help it blend smoothly. This will take 1-5 minutes, depending on your blender. Transfer to a jar, cover and put somewhere dark-ish and warm for 24 hours. If you had to add extra water, strain through cheesecloth, hanging in the fridge. Otherwise, store in the jar, in the fridge for up to 4-5 days. It will firm up even more once cold. It’s a recipe for salt mixed with seaweed (to enhance the mineral content) that I have on the site. You can sub in regular sea salt though. What is “Sea(weed) Salt”? Seaweed salt? Hi Molly! Thanks for your feedback, I’m glad it turned out well for you. I’ll have to try it with pine nuts, I think it would be delicious. If you would like the cheese a little thicker, just let it drain longer next time (or, if possible, add less liquid to the blender). And the boiling water works to soften the nuts, but if you would prefer to keep the nuts living and easier to digest, soaking is key (although I have totally done the boiling water thing in a pinch). I made this over the weekend with a couple of tweaks and it came out great. I subbed pine nuts for the macadamia nuts, just used regular sea salt and only let the nuts soak for about 5 hours. I poured boiling water over them and that seemed to do the trick. It was really delicious, more of a spreadable cheese than crumbly but excellent and creamy nonetheless. My Vitamix was key for getting the best texture. About 4-5 days in the fridge. 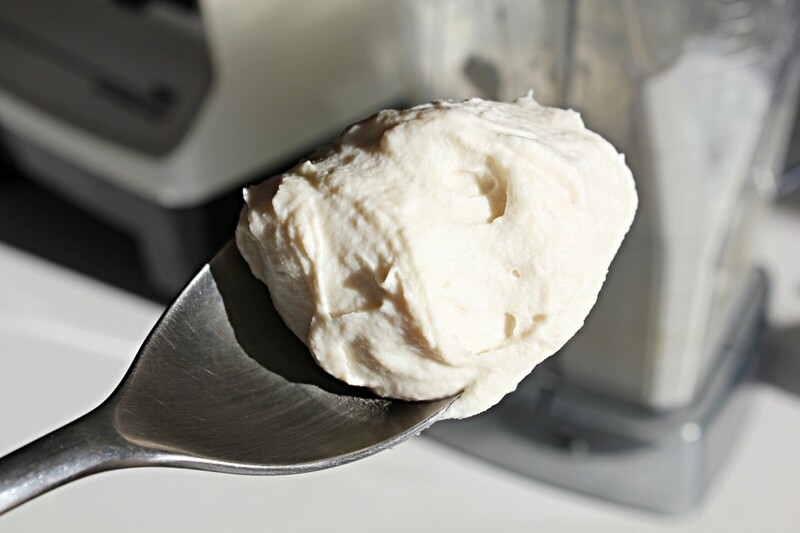 How long will the vegan cheese keep in the refrigerator? I used all cashews (no raw macadamias here), and this cheese was so good I wanted to eat it right away. But I put it in a warm cabinet so I can’t see it for a day. If it gets better after 24 hours, I will be in 7th heaven. and it was SO easy! I’ve long been vegetarian with only cheese as non-plant-based, so resonated with your opening sentence. The vegan cheeses available in my town don’t taste like anything, and now I don’t understand that since this cheese recipe is so good before it even ages. Anyway, I think my dairy cheese cravings are finally over. Yes, they’re supposed to be raw, which keeps this easy to digest and means that the fats will be in better shape that if they were roasted. You can easily sub the Macs for more cashews if you can’t find raw ones though. Hi Deborah! cashews are the creamiest and I’ve cut them with macs bc they’re creamy too (but expensive and possibly harder to find). It’s so easy to overuse cashews bc they work in everything, so smart to think about subs. 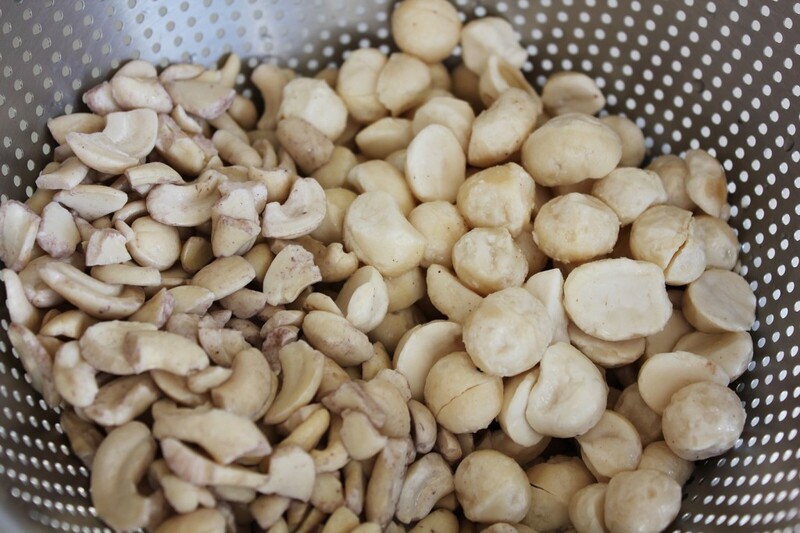 Don’t blanch the nuts, that will take away their live enzymes, the skin is fine. Almonds would work well as long as u have a good blender, as would hazelnuts. Walnuts would get nice and smooth but have a more distinct taste and might go sort of purple-y (if that matters). the only risk in using other nuts is making a less creamy cheese, but I don’t think it would be he end of the world. Throw in 1/4 c Brazil nuts for your sister too, for the selenium, they’re stronger in flavour but won’t overpower in that small amount. Your sister is so lucky to have u cooking for her! Let me know what you try and how it turns out. As long as your blender can get it nice and smooth, you shouldn’t have issues no matter which nuts you try (and make sure they’re fresh). You mentioned substituting almonds.. Would you blanch them before the soak or should I use raw unpasteurized almonds? In your response, did you mean you could use all almonds? Also, would the almonds and cashews be a good combination? Would walnuts or hazelnuts(with the skin on?) be ok to use? Any recommendation on what would be a good combination there? Thanks for this amazing sounding recipe. I cook for my sis who is battling breast and ovarian cancer. I can’t wait to make this for her. I do alot with cashews so I would love to add other nuts to her diet. Hi Monica, all cashews would also work (so would almonds). Can I use all cashews or another nut instead of macadamias? Thanks! Hello! Lucky daughter, that sounds delicious! You could get away with soaking for 8 hours if time is tight. The fermenting brings more sour (plus gut-healthy probiotics) but if you’re in a hurry, u could add a little bit of extra acidity (lemon juice or raw apple cider vinegar) instead. If you’re going to bake it anyway, the oven’s heat will kill most of the probiotics, so skimping on the fermenting could be a time saver. Also, if you do manage enough fermentation time and want to keep the healthy bacteria, try adding the cheese once the tart has been pulled from the oven. The residual heat from the tart will warm it through, but not enough to damage the bacteria. Good luck! 1. I only have about 24 hours total to make it. I just chopped up the nuts now and put them in water, thinking that if they are chopped they might soften enough that I don’t have to wait 12 hours. I was hoping to start the fermentation before I go to bed tonight, so the nuts will have about 7 hours, I guess. Is that will work well enough? 2. The fermentation will only be for about 14 hours. Do you think that is enough? I am adding the cheese to a roasted veggie tarte tartin that goes in the oven tomorrow at 2pm. 3. If the nut-water time is more important than the fermentation time, please let me know and I’ll start the fermentation in the morning. I hope you are enjoying your holiday weekend! If you are busy with family, I’ll go forward with my plans as described in Qs 1 and 2, and will let you know how it goes! I’m so glad you liked it Jacqui! It doesn’t last long around here either. I’m happy to hear it blends up sufficiently in an older blender too, thanks for letting us know! This is so good – thanks for posting. I tried to make vegan feta with tofu but tofu doesn’t go creamy like feta does. I ended up frying it and it almost tasted like haloumi, but I wont make it again. This goats cheese is up at least 5 levels from tofu cheese. I have an old blender, so it took a while to get it creamy. I had to keep scraping the blender and that meant I got lots of licks as I was blending. So yummy just out of the blender so I don’t know how long it will last once it’s done its fermenting stage! May not even make it to the fridge. I will be definitly making this again. I love nut creams and now I love nut cheeses too. Thanks again. Hi Kim, I’m glad you like the cheese! And good question. I use a tight-ish fitting lid or plastic wrap because I don’t want the bacteria in the air (or in other fermentation projects in my kitchen) to disrupt the fermentation process (or vice versa). It would probably work out fine either way, but in general, when fermenting at room temp, I like to keep things tightly covered. I just made this for the second time. My Vitamix blended everything up smoothly in less than a minute. I think my favorite use for it was as a spread in a veggie wrap, even though I would just eat a spoonful right out of the jar from time to time. I have a question about the fermentation process. When you cover the jar, do you use a tight-fitting lid? Or is it important for the air to be able to circulate, and better to cover it with cheesecloth or a paper towel held in place with a rubber band or something similar?